Marjolein Menke teaches people to paint and model, both by model and freely. During the lessons, small groups of 2 to 3 people will work individually, depending on the specific wishes of the students. The guidance is intensive and focused on individual help. The goal is to guide people towards finding and developing an own design language. 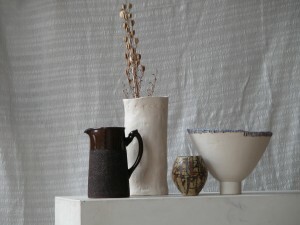 People can work with oil and acrylic paint, clay, wax, etc. Easels and worktables are provided, materials are taken by the students. Apart from following lessons, Marjolein also guides people that want to familiarize themselves with painting and modelling in general, for instance for the purpose of a career. 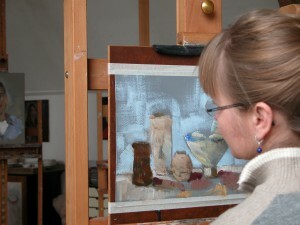 Marjolein guides her students using a lot of positive feedback and takes you by the hand through the painting proces. By doing so she sees to it that you stay close to your personal style of painting.